Tiger Woods survived a sluggish start at the Arnold Palmer Invitational, where Henrik Stenson and Bryson DeChambeau ended the second round tied for the lead. Woods opened with a two-over 38 on his front nine on Friday but the 14-time major champion bounced back with a 34 on the back nine at Bay Hill Golf Course. When Woods made his second bogey of the day it snapped a streak of four successive rounds with no more than one bogey or worse. His three-putt on hole nine was his first since the 16th of the Honda Classic. The American star had gone exactly 100 holes without one in between. Though Woods did not always have his best form, he made a number of great par saves, including one for the ages on the par-four 15th. 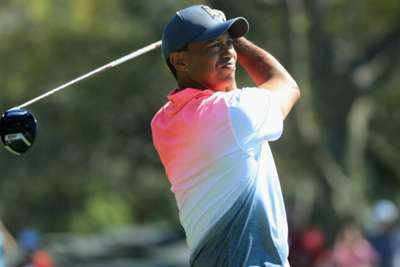 Woods, an eight-time winner at Bay Hill who finished runner-up at last week's Valspar Championship, is seven shots off the pace heading into the weekend. Stenson and DeChambeau are the players to beat following their respective rounds of 69 and 66. American DeChambeau gained three strokes on the final three holes to erase Stenson's lead at the Arnold Palmer Invitational. Stenson led by a shot after going eight under through the opening 18 holes and made the turn two ahead, the Swede staring at a three-stroke advantage after a hat-trick of birdies on his back nine. But an eagle at the par-five 16th and a birdie at the last from DeChambeau, who followed up his opening 67 with 66, ensured he finished his day level with the major champion on 11 under. Talor Gooch (70) is outright third and two strokes behind, while An Byeong-hun (68) is a stroke further back. Former world number one and four-time major champion Rory McIlroy posted a second-round 70 to be five under through 36 holes alongside Ernie Els (70). Defending champion Marc Leishman recorded back-to-back 70s as he ended the day alongside Woods, Bubba Watson (70) and Justin Rose (71). Australian star Jason Day struggled following his 71, having opened the event with a 73 on Thursday – the former world number one even par at the halfway stage.